New research indicates smoother roadways can limit the amount of carbon dioxide emitted by vehicles. INDIANAPOLIS – Indianapolis Mayor Joe Hogsett this week unveiled a four-year, $400 million improvement plan that seeks to make long-term repairs to the city’s infamously cratered roads and bridges. 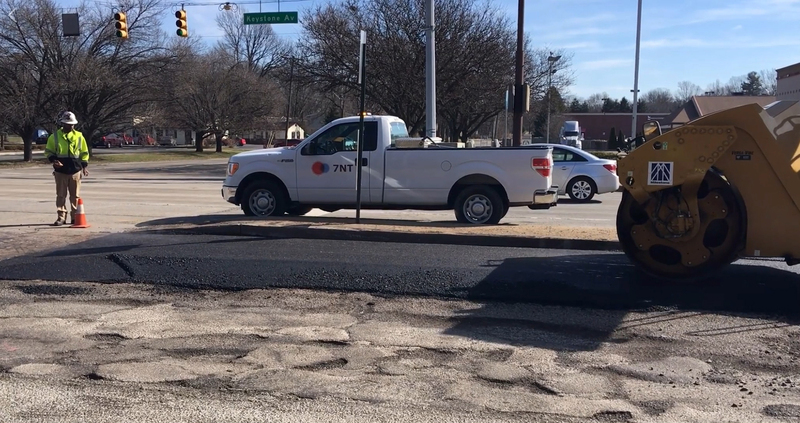 Instead of only temporarily filling potholes, the Indianapolis Department of Public Works and contractors will have funding to resurface and strip-patch hundreds of miles of city roadways. New infrastructure research indicates Indianapolis’ long-term roadway maintenance approach could significantly reduce greenhouse gas emissions. The first phase of the four-year plan involves resurfacing and strip-patching 167 miles of city roads at the cost of $126 million dollars. The city’s public works director, Dan Parker, says the funding allows crews to make lasting repairs that will improve safety and protect vehicles. “We can mill a street, we can fix fill pavement, we can make long-term, longer-lasting road repairs that will prolong the life of our pavement,” Parker said. The improvement plan comes after city officials received criticism for a massive outbreak of tire-wrecking potholes early in 2018. City crews had to fill potholes while city leaders tried to find long-term funding. Potholes are created when water seeps beneath the pavement through cracks. During the winter months, the water freezes and expands, forcing the pavement to rise. When the ice melts, it creates a cavity under the pavement that can become a pothole when a vehicle drives over it. An internal city analysis estimated it would cost the city $732 million dollars to fully upgrade the city’s streets. Although the city has committed to more than half the amount deemed necessary, Indianapolis’ long-term road plans may help reduce greenhouse gas emissions and save taxpayers money in the long run. Researchers from Rutgers University, North Dakota State University and Al-Mustansiriyah University in Baghdad, Iraq, found that preventive pavement maintenance can reduce greenhouse gases by up to 2 percent and cut agency spending by up to 30 percent in the long term. 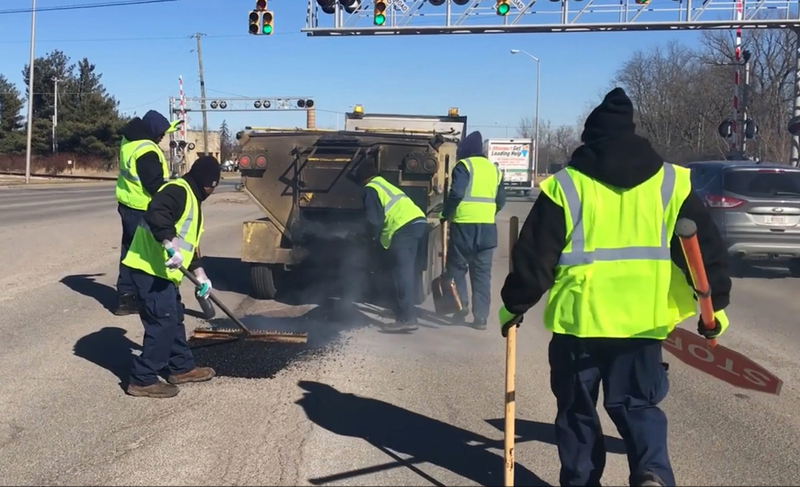 Indianapolis’ decision to resurface roads, instead of only stuffing potholes with a hot or cold mix of asphalt, will reduce vehicle emissions by making roads smoother. Smoother roads allow drivers to get to their destinations with fewer delays resulting in vehicles being on the roads for a shorter amount of time. That results in a reduction in total greenhouse gas emissions. Indianapolis' decision to invest in road resurfacing could result in reduced greenhouse gas emissions. The researchers found that one type of pavement preservation, thin overlay, produces the highest life-cycle reduction in carbon dioxide emissions. Indiana’s Department of Transportation is testing the effectiveness of certain types of thin overlays throughout the state. The researchers also found that cities can cut spending by 10 to 30 percent by actively maintaining roads instead of reacting only when roads become heavily damaged. Smoother roads also save drivers money. The researchers found drivers can save between 2 percent and 5 percent in fuel consumption, tire wear, vehicle repair and maintenance costs over time. 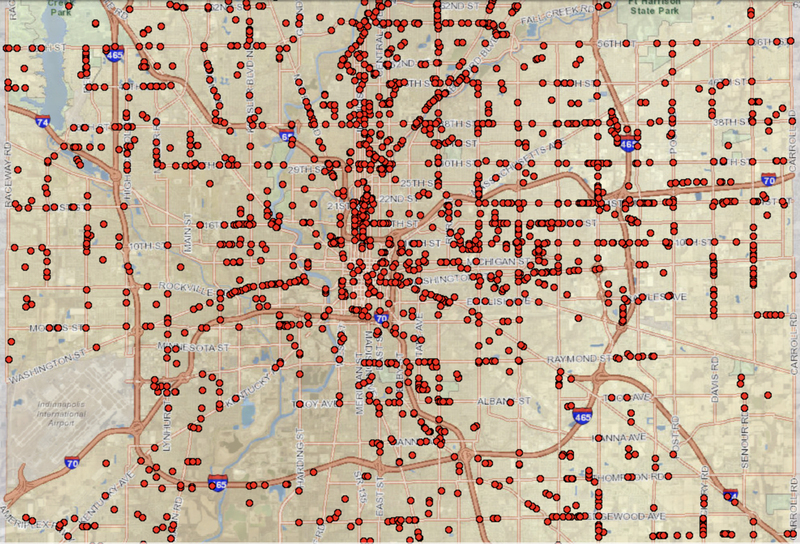 Indianapolis DPW tracks and displays reported potholes on its Indy Pothole Viewer site. Indianapolis DPW tracks and displays reported potholes at its Indy Pothole Viewer site. Indianapolis residents can report uncharted potholes to the Mayor’s Action Center.